← Soapbox: local independent councillor Linda: Just a few thoughts for 2014! “The propaganda business is a big adjunct of the arms trade. In the US the main news channels of CBS and NBC are both owned by major arms contractors. Here, colourful military parades and breathtaking air shows attract families with children and obscure the true purpose of the weapons on display. 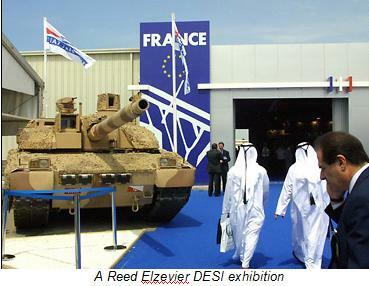 “The Defence and Security Equipment International (DESI) exhibition was held in London. It was attended by delegates from 121 countries, with almost 1,500 companies exhibiting, and was hailed by secretary of state for defence Philip Hammond as ‘a fabulous show’ selling ‘fantastic kit’. The exhibition included pavilions evoking the pleasantries of cricket and the hospitality – funded from public taxes – was lavish. *The exhibition did not feature any photographic evidence of the effect that the latest high-tech weapons have on human beings. This was a global arms bazaar. It touted weapons and equipment designed to kill and main people. “But to preserve respectability, and obscure the purpose of the items for sale, there were seminars, receptions, PowerPoint presentations by military top brass and genteel tours of visiting warships. 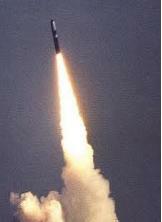 “Weapons exporters claim, feebly, that every country has a right to defend itself; by this logic we should be marketing Trident, the UK’s own weapon of mass destruction, which we buy from the US and parade as the mainstay of our ‘national security’. “Soothing jargon helps the arms dealers to detach themselves from the suffering caused by their wares: weapons are ‘systems’; ‘contingency operations’ means warfare; and ‘defence and security equipment’ is a nicer classification for the machine guns, tear gas, rocket launchers, handcuffs and tank-busting aircraft that were on display. “The global security scene has changed completely since the ending of the ‘cold war’ in 1989. Military policies, however, seem hardly changed, and the justification for arms spending, such as countering the ‘war on terror’, are becoming ever more slick. “According to the Stockholm International Peace Research Institute (SIPRI) global spending on weapons in 2012 was $1,753 billion. This figure is up by nearly 56% since 2000 and is equivalent to $249 for every person on the planet. “The government claims that licences are granted only under strict criteria. These criteria preclude sales to ‘countries of concern’, such as those deemed to be oppressing their own citizens, or involved in, or likely to be involved in, military conflict. “These claims are false. Arms export controls are riddled with loopholes and barely enforced. The government gladly sold arms to Saddam Hussein when he was at war and gassing the Kurds, to Argentina in the run up to the Falklands war, and to Gaddafi until his overthrow. Successive UK governments have traded arms in a moral and legal vacuum. “A CAAT report claims that bribes to foreign governments and commissions to weapons salesmen are the norm. Nine countries who have just taken part in the DSEI exhibition are listed by the Foreign and Commonwealth Office as having ‘the most serious wide-ranging human rights concerns’. “The US accounts for over 40% of global arms sales. It is seriously in arrears on its payments to the UN. The UK is a major arms exporter with about 10% of the world market. “Saudi Arabia, with huge purchases of 21%, and Israel are principal customers of the US and the UK. Sales to developing countries have rocketed since 2010. India, where half of the population have no lavatories, made 13% of world arms purchases from 2004 to 2011. “The UK arms industry, which employs around 250,000 people, exported more than £5.4 billion worth of military products in 2011. . .
Posted on January 24, 2014, in Banking and finance, Corporate political nexus, Government, Media, MPs, Vested interests and tagged arms dealers, Arms export controls, CAAT, DSEI exhibition, Global security scene, Propaganda, Stockholm International Peace Research Institute, UK arms industry, Weapons exporters. Bookmark the permalink. Leave a comment.